One of the main reasons why people are leaning towards rural living is because they have access to a more natural and cleaner source of water – well water. Most of the water supply in cities comes from lakes and rivers. What most people don’t know is that these sources are not as clean as they used to be. Most of the lakes and rivers around the nation are polluted with motor fuel from boats, pharmaceuticals, raw sewage, and industrial waste. To make it fit for human consumption, the water undergoes several filtration techniques and gets disinfected with chlorine. If you knew the side effects of chlorine, you will pack your bags today and move to a place where you can get clean well water. And let’s not forget how chlorine water can harm your skin. The chlorine water you use for bathing can get absorbed in your skin and cause skin infections. Not to mention the steam you inhale is toxic for your lungs. Chlorine gas can cause health conditions like dyspnea, chest tightness, air obstruction, and wheezing. If you want to avoid all these problems, moving to a country home with a well is an excellent idea. The question most people ask is that is well water totally pure or do you need to filter it out? Well, read on to find out. The deeper the well is, the lesser the chances of contaminated water. It is recommended that your fell is dug 800+ feet deep to make sure the water remains pure. However, it is always better to be safe than sorry. It is important that you get the water from your well tested for local contaminants like nitrates, bacteria, coliform, and other substances at least once every year. If you have just moved into a house with a well, make sure that you get the water tested for inorganic compounds, heavy metals, and pesticides before using it. Checking the purity of your water system now lies on your shoulders. One of the things you can do is get a DIY testing tool. The prices of this tool vary depending on your selection. The second option is to send a send a sample of well water to your local health department. They can send it for proper testing to make sure the well water is safe for usage. 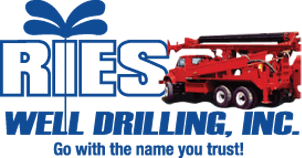 Give Ries Well Drilling, Inc a call today at (586) 784-9516! We can answer any questions you may have about owning a water well.